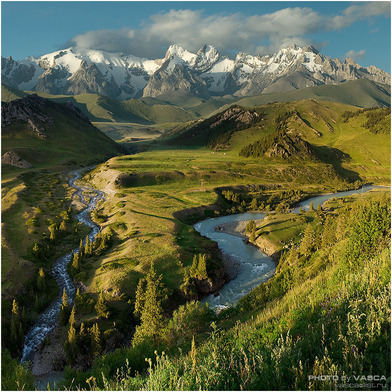 "Located on the legendary Silk Road, Kyrgyzstan is one of those off the beaten track destinations that still preserve their natural beauty intact. 94% covered by the mountain and featuring peaks of over 7000 m, Kyrgyzstan offers beautiful scenery and is a great place to visit for trekkers and hikers. Issyk-Kul Lake, the Ala-Archa Canyon and the mountains of Tian Shan offer multiple opportunities for hiking on foot or on horseback for several days. 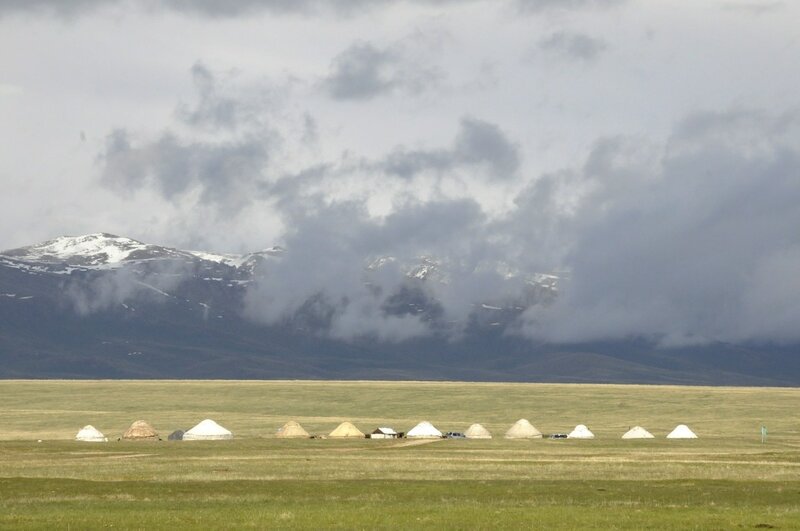 Beyond these natural wonders, travelers will not find neither architecture, nor refined cuisine in Kyrgyzstan, but they will meet the hospitable people, many of whom still lead a semi-nomadic existence." Kyrgyzstan is a developing country which is relatively young, having separated free of Soviet control, the people of Kyrgyzstan have tried to stabilize their country and bring greater democracy to their nation. 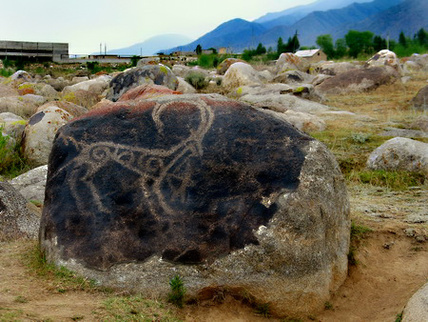 Over the years of their national evolution Kyrgyzstan's identity continues to define itself through the history of their craft, art and handmade industries. 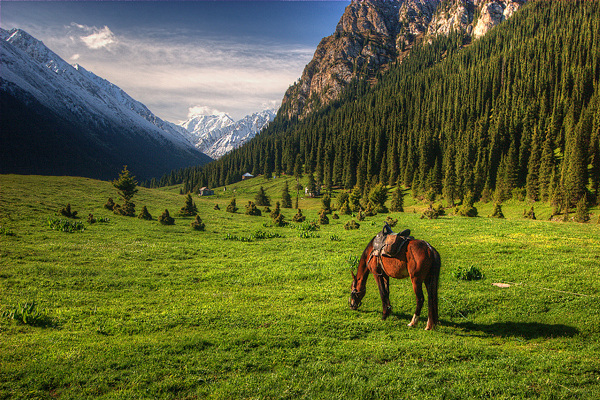 Want to Travel to Kyrgyzstan? Aizada Imports will be hosting a tour of Kyrgyzstan in September 2018 in conjunction with the World Nomad Games.